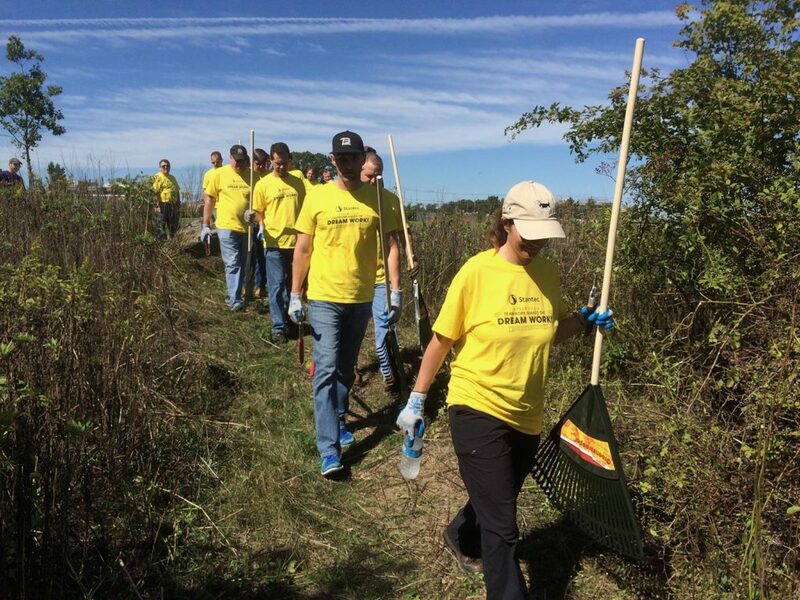 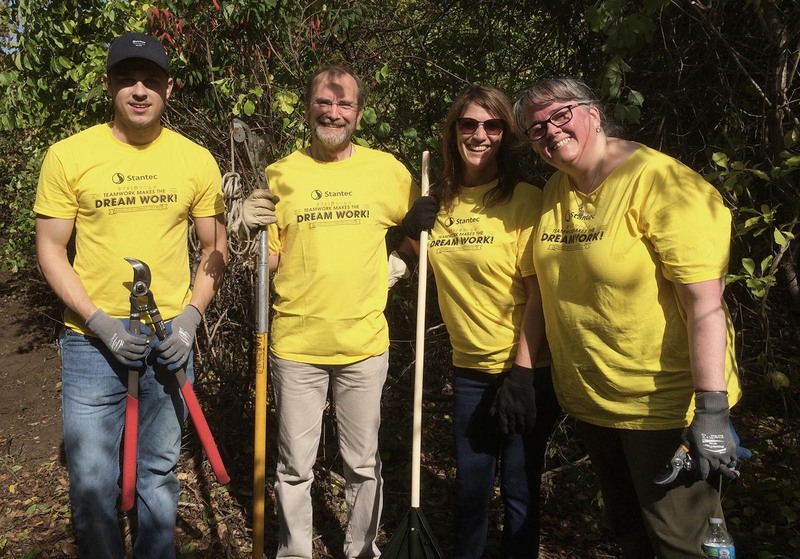 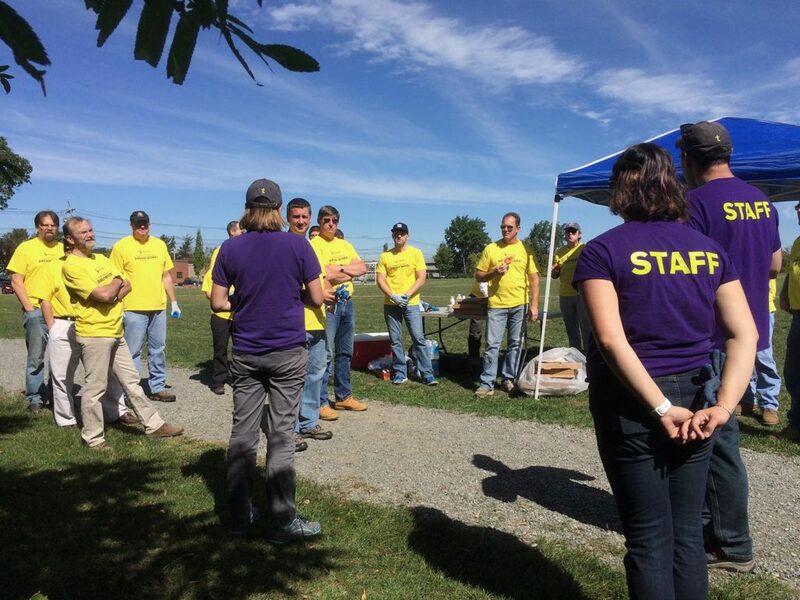 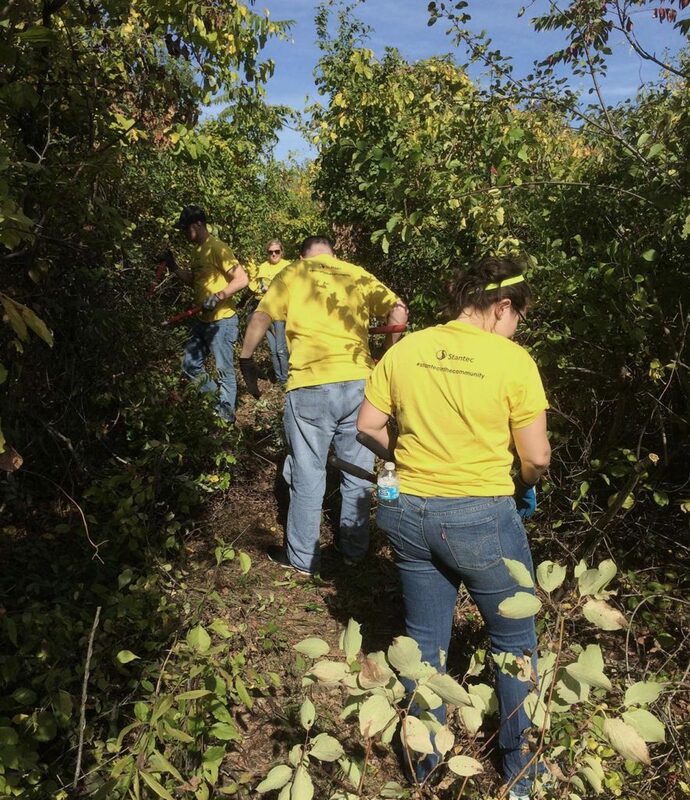 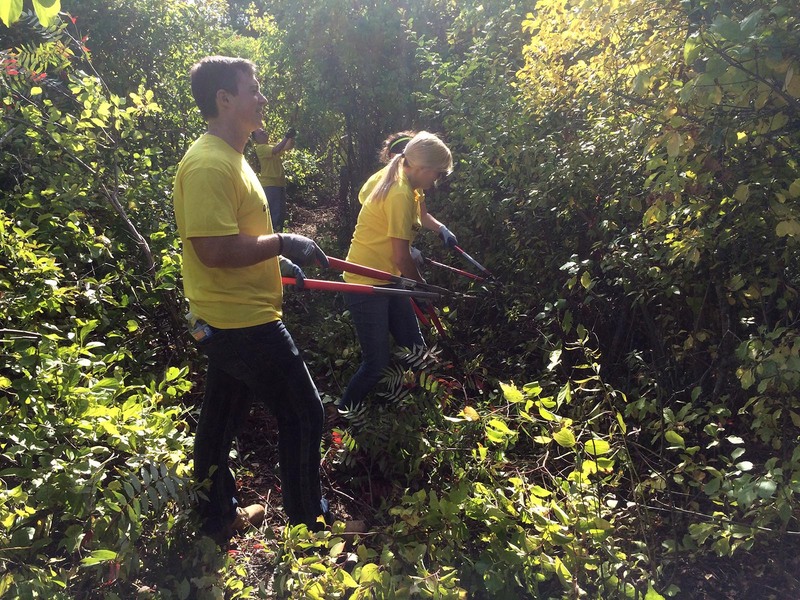 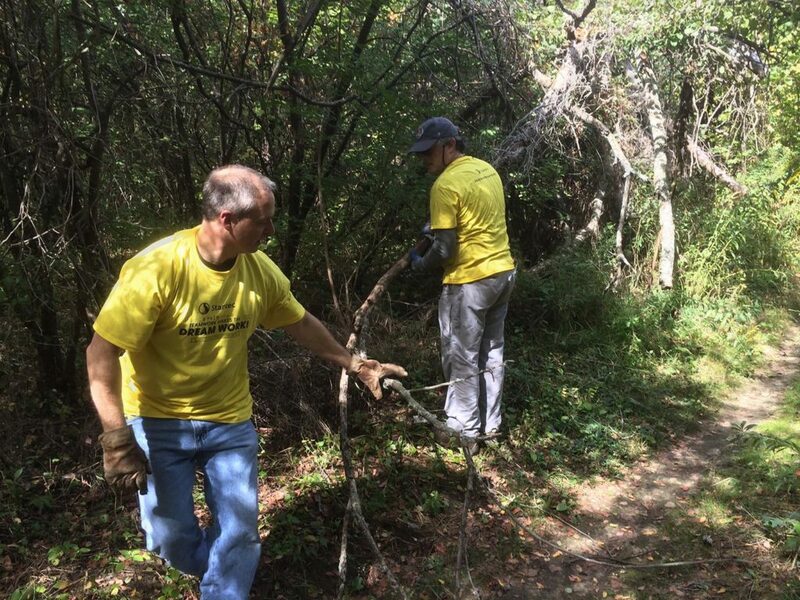 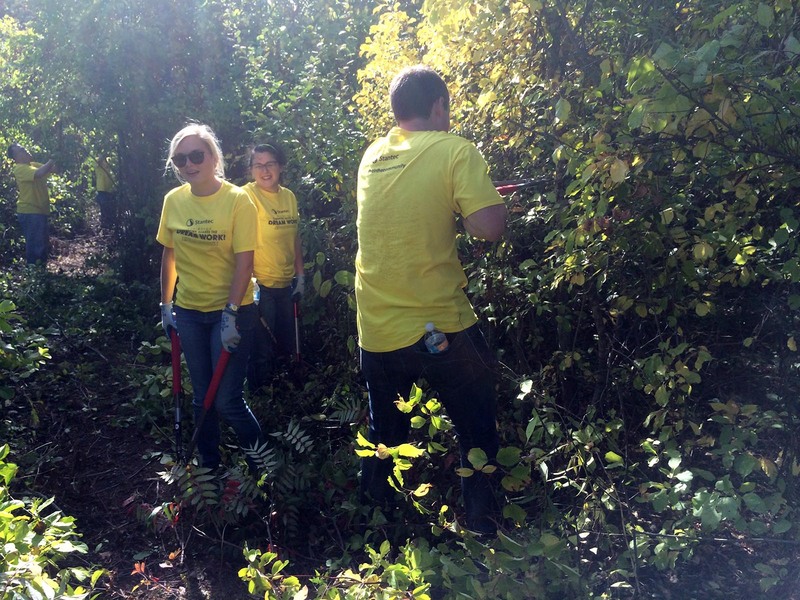 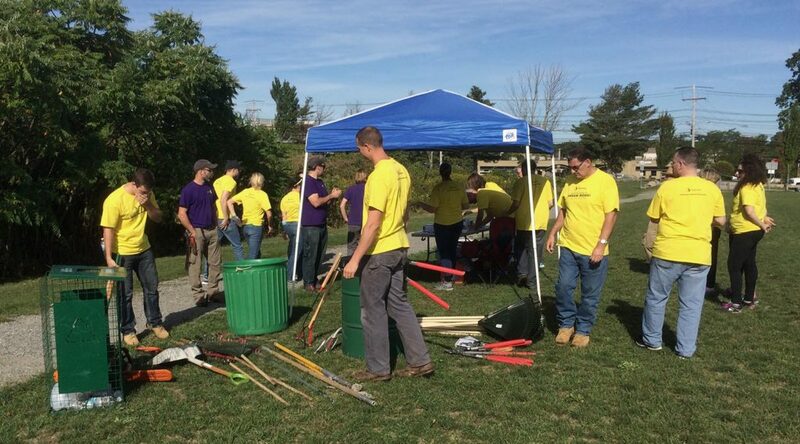 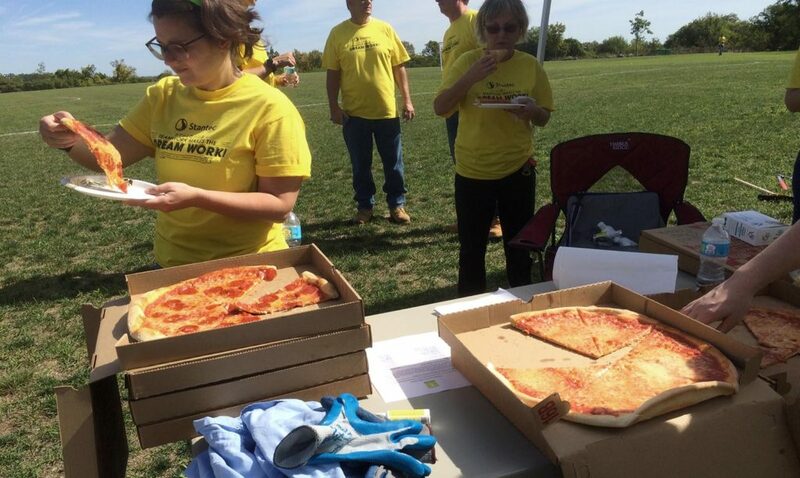 Three shifts of energetic Stantec volunteers came to Mary Cummings Park on Wednesday, September 20, 2016, and cleared out overgrown trails. 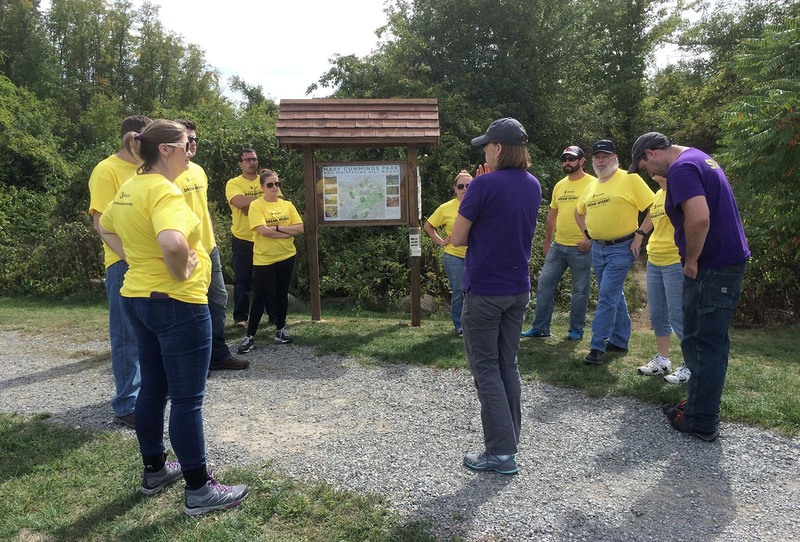 From 10am until after 4pm, staff from The Trustees of Reservations guided Stantec teams around the park for trail maintenance. 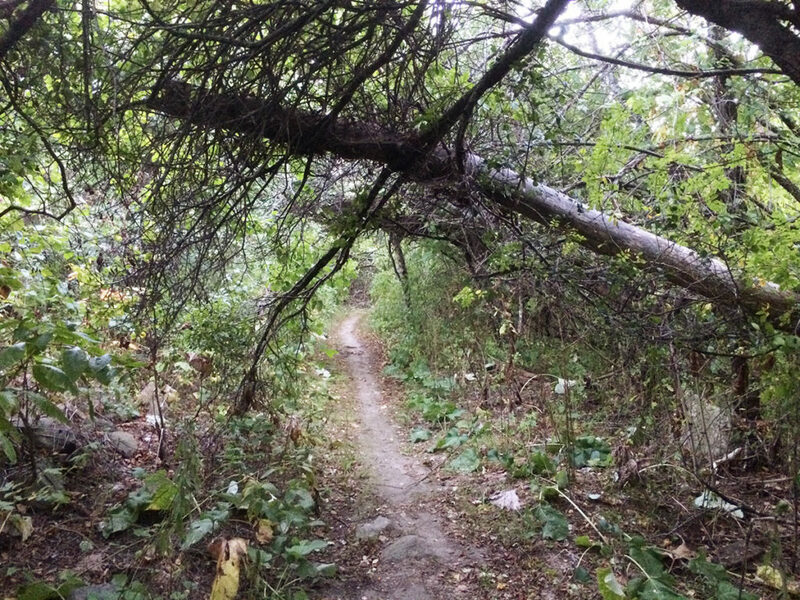 A major trail was fully restored by end of day. 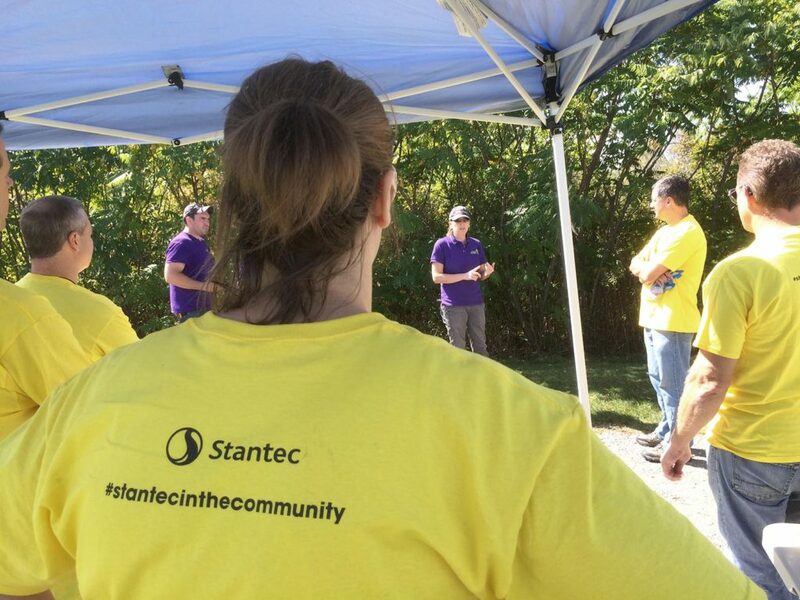 We thank Stantec and The Trustees for the great work.